Pomegranate truffles are a popular dessert in my Rosh Hashanah table. Persians are addicted to pomegranates; they even use pomegranates in stew! Hence, it seemed logical to use them for dessert as well. I love how tangy and sweet these truffles are, not to mention how well they go with a cup of tea (instead of using sugar). I am proud that pomegranates are native of Persia – they are packed with nutritional value and antioxidants that protect against cellular damage. Mulberries, my husband’s favorite dried fruit, are a great source of iron and vitamin C. They also have an antioxidant present in red wine that has the potential of promoting a healthy heart. Hence, these truffles are not only absolutely fabulous to taste but packed with superfood qualities! Place walnuts in a food processor fitted with a metal blade. Process until a paste forms. Add pitted dates, salt and pomegranate powder and continue to pulse until well mixed. 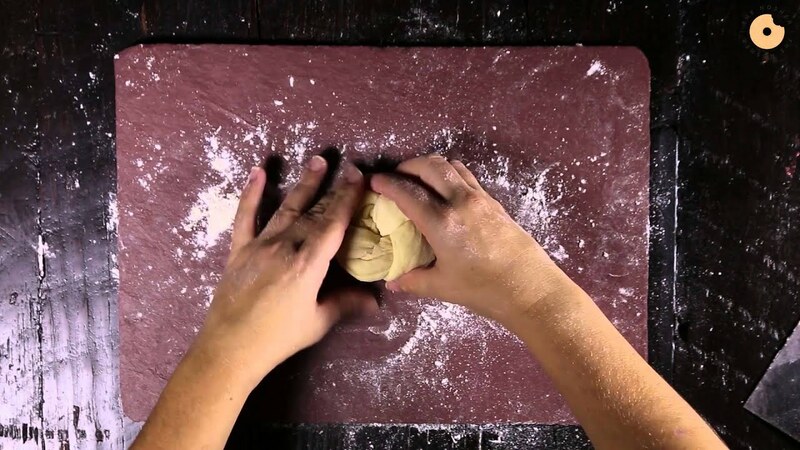 The dough will be crumbly and moist but easy to mold into truffles about 1-1/2 inches diameter. 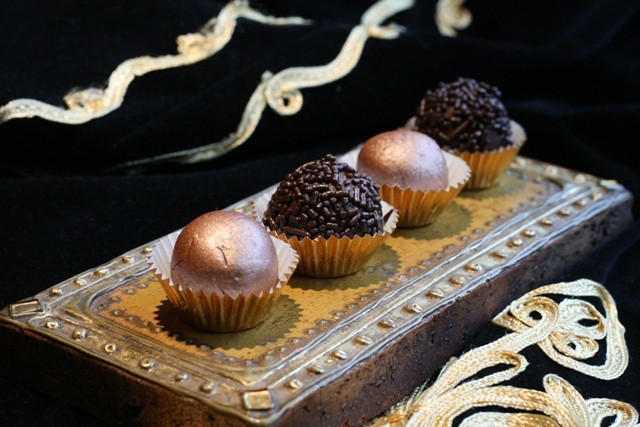 Optional step: Place a golden raisin or a mulberry inside the truffles and reshape as a sphere. Dip truffles into gold decorating dust for a whimsical look, or cocoa powder and sprinkles for a more traditional truffle look.